While insulation is out of sight, hidden behind walls or in your attic, it is a critically important material in your home. It is one of the most thermally efficient ways to save energy, yet it is also cost-effective and can make indoor environments quieter to live in. 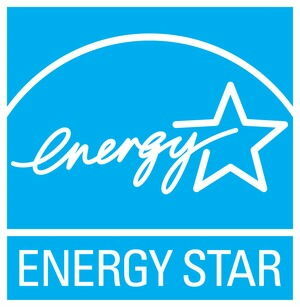 After decades of success in homes nationwide, residential insulation materials continues to deliver maximum performance in energy conservation. Yet, the benefits of these materials go beyond comfort. When you hear the phrase, blown-in insulation, this refers to the blowing or spraying of insulation product into attics, wall cavities, and floors. This form of insulation seems to allow the least amount of settling over time. Per square inch, blown-in insulation brings the most improved performance in regards to insulating new construction, existing structures, and remodels. Premium, or upgraded, blown-in insulation can significantly increase energy savings, while adding a touch of comfort indoors. Whether you are insulating new construction or upgrading insulation in your current home, you are on your way to saving energy and costs. Besides lowering monthly utility bills, you will find that insulation materials are excellent at absorbing sound. For instance, you can install acoustical glass mineral wool batt insulation during a remodel or add-on. This particular insulation material installed next to a gypsum wood board will greatly dampen sound waves. This is a very specific type of insulation, and is often used in new homes. As insulation saves energy with added comfort, it also reduces the amount of harmful pollution being released into the atmosphere. Specifically, glass mineral wool insulation promotes cleaner air. In essence, this is considered a “green” insulation product because it is made from recycled components. In turn, fiberglass insulation is a material composed of renewable resources, like sand. Thus, this material helps prevent the depletion of natural resources. It’s easy to see that the benefits of residential insulation have evolved over many decades, and are about more than comfort. At ClimateSmith, LLC, we provide solutions to keep homes and businesses comfortable, while cutting energy costs. Our contractors offer premium R19 blown in insulation for residential services. You can trust that the professionals at ClimateSmith, LLC will help you conserve energy, while offering you the best rates in Alpharetta. Call us today!